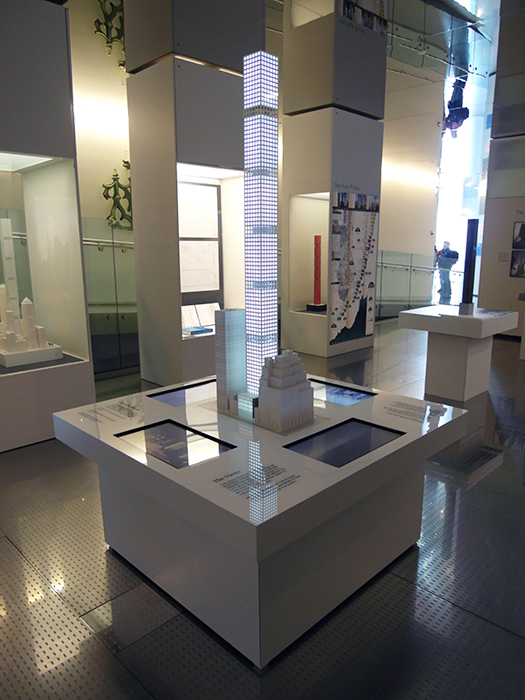 The Skyscraper Museum is devoted to the study of high-rise building, past, present, and future. 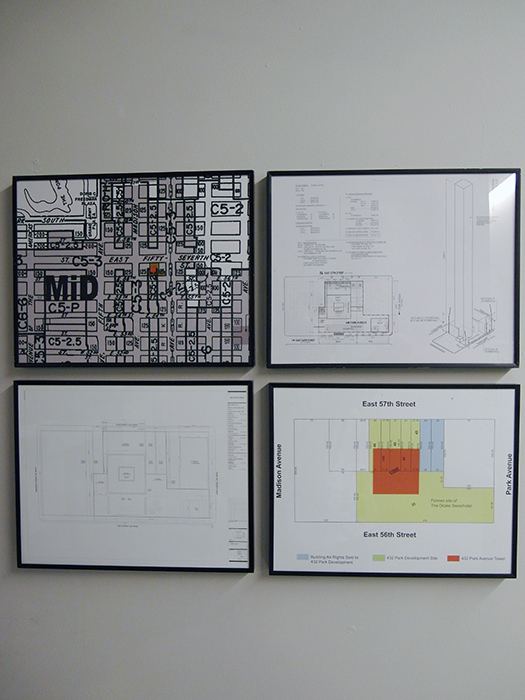 The Museum explores tall buildings as objects of design, products of technology, sites of construction, investments in real estate, and places of work and residence. This site will look better in a browser that supports web standards, but it is accessible to any browser or Internet device. 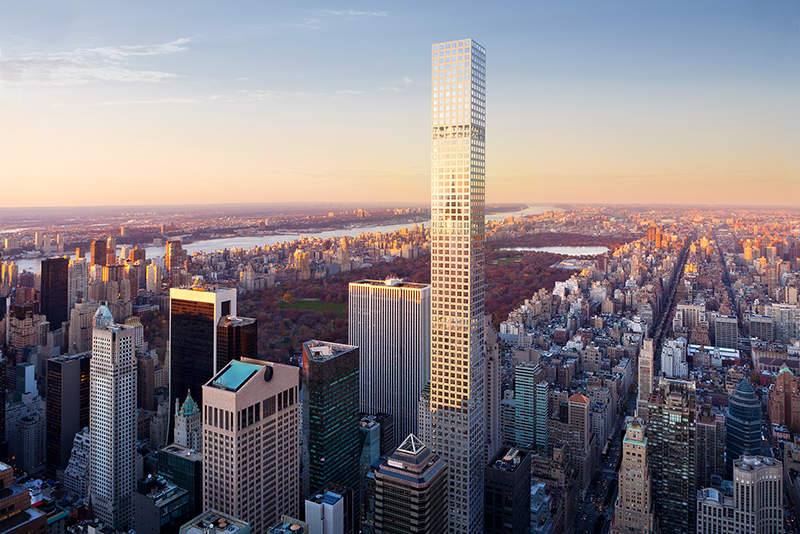 Exterior rendering of 432 Park Avenue by dBox. Courtesy of Macklowe Properties. With a flat rooftop that squares off at 1,396 feet, 432 Park Avenue, upon its completion in 2015, will become the tallest residential building in New York City and in the western hemisphere. At that height, it will be taller than the 1,368-foot roof of One World Trade Center, as well as of the original WTC Tower 1, which at that height was, from 1971-1973, the world's tallest building. 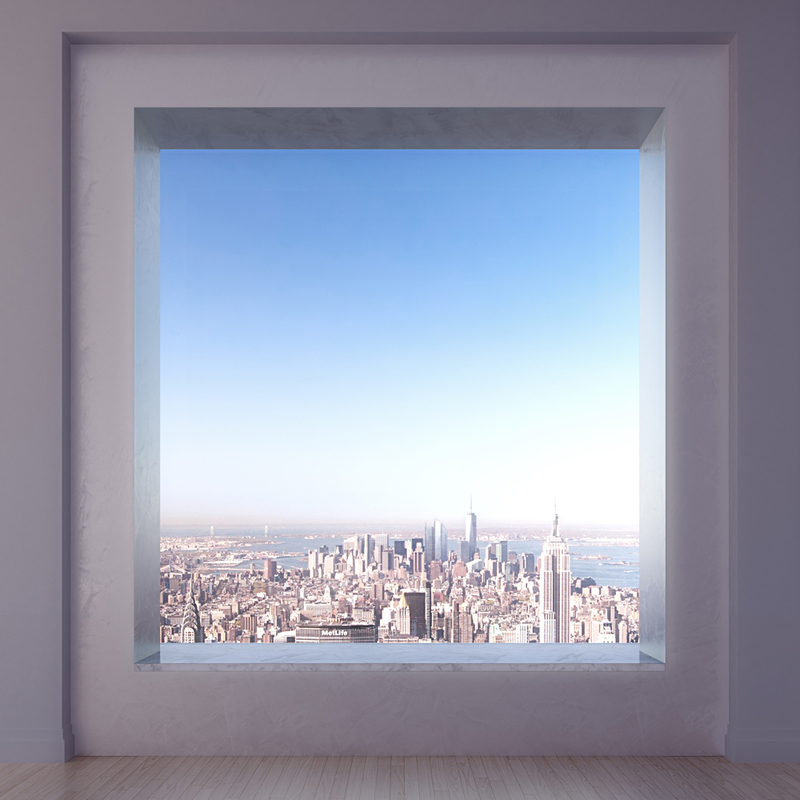 View from a 432 Park Avenue window. Image Credit: dBox. Courtesy of Macklowe Properties. 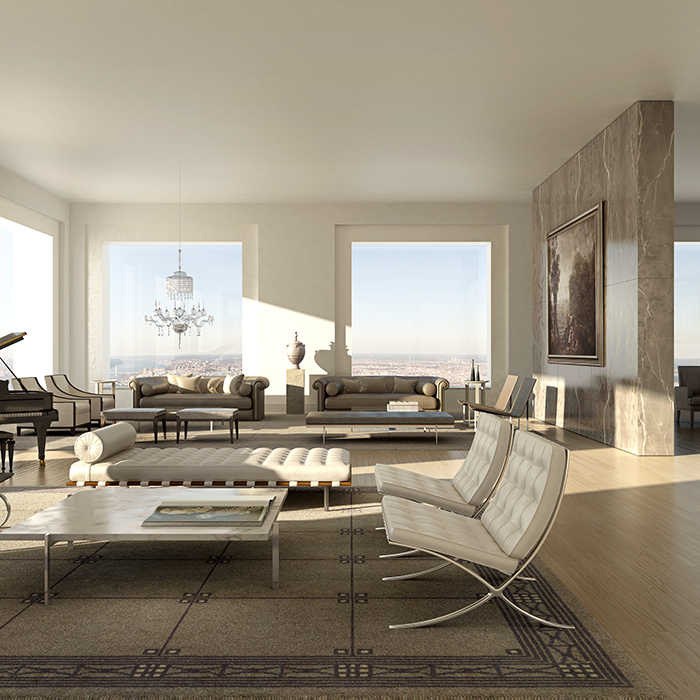 Rendering of an interior in 432 Park Avenue. Courtesy of Macklowe Properties. On Febuary 24th, 2014, architect Rafel Vi�oly discussed the design of 432 Park Avenue in the context of his high-rise work and design philosophy at a lecture presented by The Skyscraper Museum. Click here to watch the lecture. 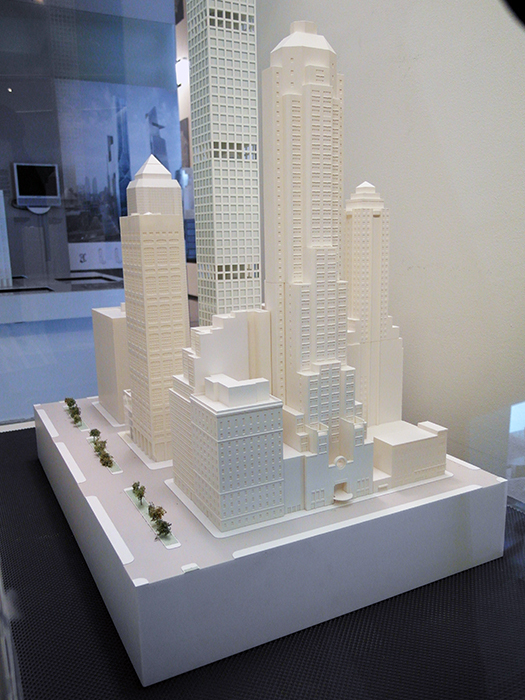 Context model of 432 Park Avenue courtesy of Macklowe Properties. 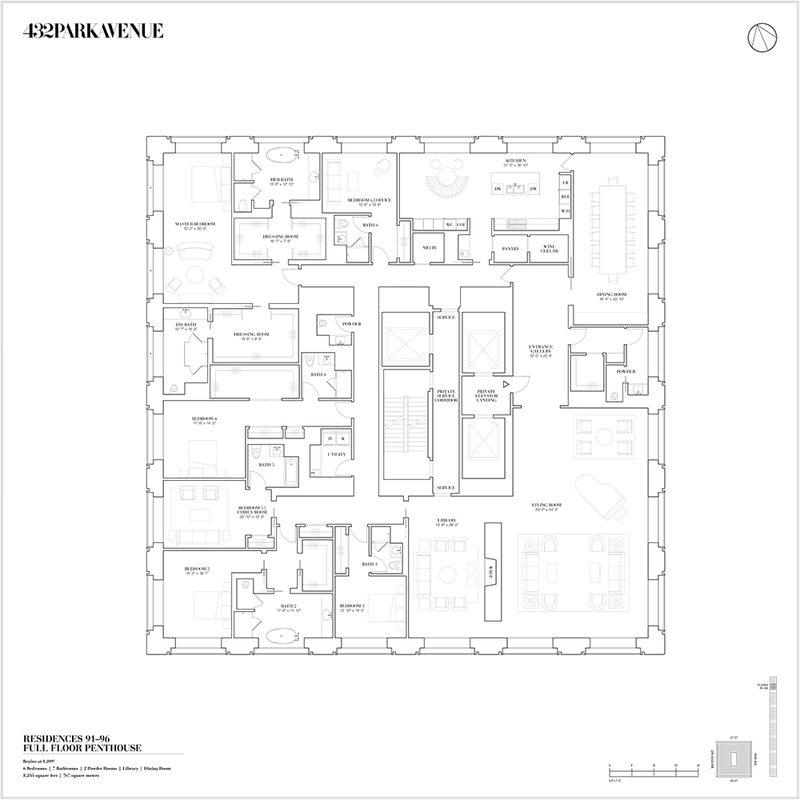 Floor plan of 432 Park Avenue courtesy of Macklowe Properties. For Comments and Questions please email info (AT) skyscraper (DOT) org.